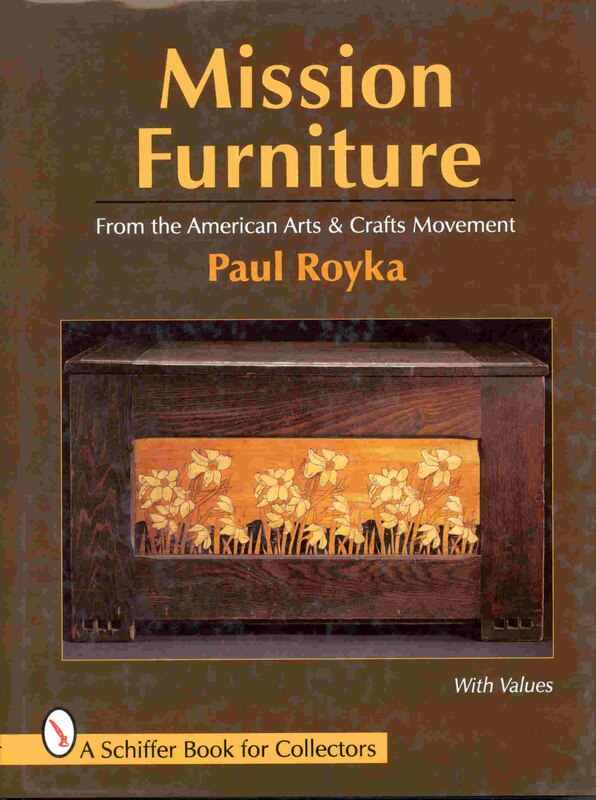 Mission Furniture by Paul Royka, published by Shiffer Publishing. Hardcover book, 208 pages, 8-1/2" by 11". Primarily photos of mission style furniture with valuse as of 1997. Includes a section on "Helpful Details" showing the differences between various makers, a section covering 10 companies (one section on the Stickley family), and sections covering types of furniture such as Settles, Rockers and Chairs, Footstools and Window Seats, Desks, bookcases. This is a great gift book for a collector or for someone looking to learn how to tell one maker from another. Arts & Crafts: the California Home by Douglas Condgon Martin, published by Shiffer Publishing. 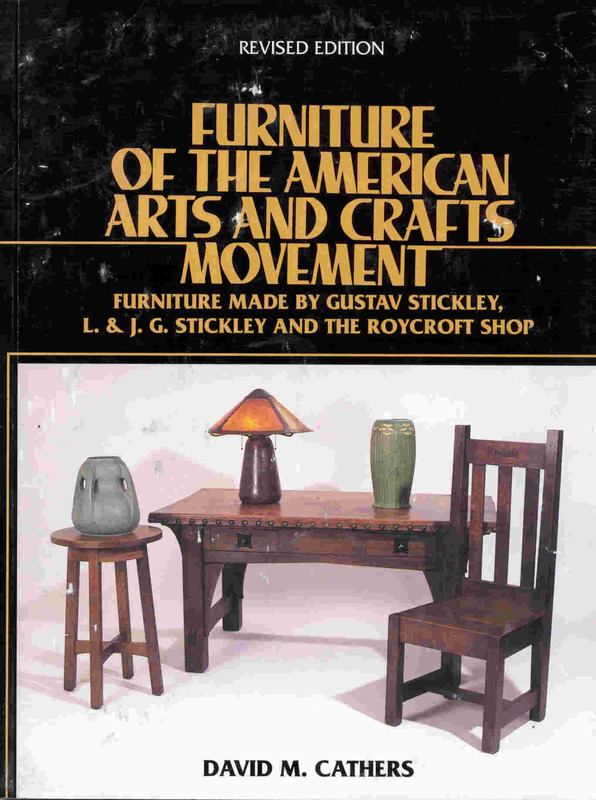 While this book focuses primarily on furniture made by Gustav Stickley, L & JG Stickley and Roycroft it is an excellent primer for people who want to collect good quality Arts & Crafts or Mission antiques. Lots of good information on how to identify pieces that may no longer be marked.